The obverse of the shilling is by Bertram Mackennal. 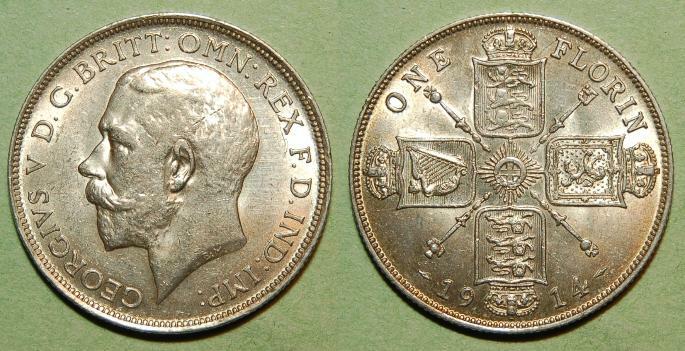 The second reverse (1927-1936) is by George Kruger Gray. 1911-1920 Silver, 11.3 grams, 28.3mm Diameter.